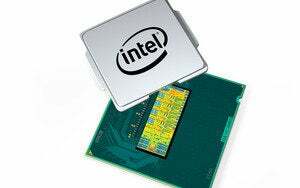 Based on a new fourth-generation Core processor called Haswell ULT—the replacement for Intel's Ivy Bridge processor—the new lightweight notebooks feature significantly longer battery life, faster graphics performance, improved wireless networking, and greater energy efficiency. The 11-inch Air improves from 5 hours of battery life to 9 hours, with standby for up to 30 days. The 13-inch Air goes from 7 hours to 12 hours of battery life. Wakeup time is 1 second. What does that mean for everyday life? According to Phil Schiller, Apple's marketing guru, you get up to 10 hours of iTunes movie playback and you can watch the entire trilogy of Lord of the Rings. Designed for power savings, with more energy-efficient Intel Core i5 and Core i7 CPUs, the new Airs have a slower clock speed while still delivering 40 percent faster graphics performance, Apple says. The MacBook Air is based entirely on flash storage, and is up to 45 percent faster than the previous version. The MacBook Air's new Intel HD Graphics 5000 up to 40 percent faster performance for gaming and graphics intensive programs, while the new flash storage offers speeds of up to 45 percent faster than the previous generation and 9 times faster than traditional hard drives, according to Apple. Other features include dual microphones, a FaceTime HD camera, a high-speed Thunderbolt port and two USB 3.0 ports. The new MacBook Air models also support dual displays and video mirroring alongside full native resolution on the built-in display. Wi-Fi is reportedly three times faster in the new MacBook Air, but networking improvements depend on a new simultaneous dual-band, 3-stream 802.11ac base station. Not coincidentally, Apple also introduced redesigned AirPort Extreme and AirPort Time Capsule (2TB or 3TB) base stations that feature three-stream 802.11ac with a maximum data rate of 1.3Gbps. The new base station features what Apple calls a beamforming antenna array. Unlike base station antennas that emit an equal and constant signal in all directions, the beamforming antenna array knows where an 802.11ac device is on the network and targets the signal to that device. Apple offers four standard configurations of its latest MacBook Air. The MacBook Air comes in an 11-inch model, starting at $999 with a 128GB SSD (twice the on-board storage at the same price as before). A second 11-inch version comes with 256GB of storage for $1199. The 13-inch MacBook Air also comes in 128GB and 256GB capacities, which cost $1099 and $1299, respectively. Airport Extreme and AirPort Time Capsule are also available today. AirPort Extreme is $199. AirPort Time Capsule comes in two models: 2TB of storage for $299 and 3TB of storage for $399. Updated at 12:41 p.m. PT with more information on the MacBook Air configurations. Updated at 1:50 p.m. PT with more information on AirPort Extreme and Airport Time Capsule and other details about the new notebooks.